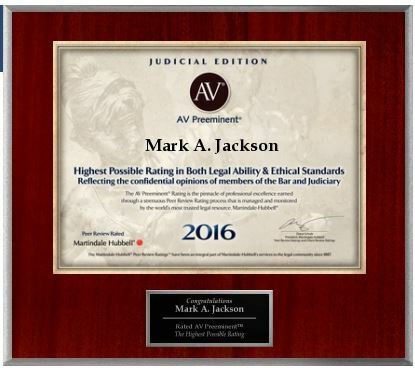 At Mark A. Jackson, P.C., we provide exceptional legal representation to northern Alabama residents hurt in motor vehicle accidents, including claims involving uninsured and underinsured drivers. Although state law requires every driver to carry bodily injury and property damage liability insurance, over twenty-five percent of Alabama drivers have no insurance at all. In fact, Alabama is third in the nation for uninsured drivers. Additionally, if you are hit by an uninsured driver, you may find yourself suing someone who does not have sufficient assets from which you can collect compensation. One solution to this unfortunate situation is uninsured/underinsured motorist (UM/UIM) coverage on your own policy. With UM/UIM, your own insurance company will compensate you if you are hit by an uninsured driver (UM coverage), or if the driver’s liability insurance does not fully compensate you for your losses (UIM coverage). Consider carrying UM/UIM coverage up to the amount you have as the limit on your own liability coverage. Although state law does not require drivers to carry UM/UIM, all insurance companies operating in the state are required to provide this coverage. In fact, the only way an insurance company cannot provide UM/UIM coverage in Alabama is if the policyholder signs a written waiver stating that he or she does not want this type of coverage. Even with UM/UIM coverage, receiving fair compensation after an accident with an uninsured or underinsured driver can be difficult because insurance companies seek to minimize payouts to policyholders. Insurance adjusters will almost always under value your claim, offering a settlement far below what you are entitled to receive. Even in dealing with your own insurance company, do not assume that your insurer is on your side: often, adjusters will attempt to pay you as little as possible, or even deny your claim altogether. Therefore, before you try to negotiate with an insurance company, sign any papers, or accept any money, you should consult with a knowledgeable personal injury attorney who has experience handling claims involving motor vehicle accidents. With his expertise, Mr. Jackson can assess your accident and the circumstances involved, and provide a reasonable estimate of the value of your claim. With over 20 years of experience, Mr. Jackson possesses the knowledge and legal skill to take on insurance companies with confidence, helping his clients to receive full and fair compensation for their damages. If you or a loved one has been involved in an accident with an uninsured or underinsured driver, please call Mark A. Jackson, P.C. today for a free consultation. As our client, you will not pay any attorney’s fees until we collect compensation on your behalf.